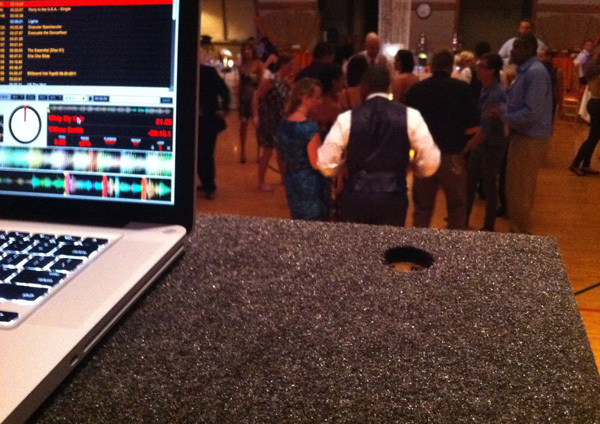 Last week, we wrote about a wedding we were DJing at Mount Oak Church in Bowie, MD. 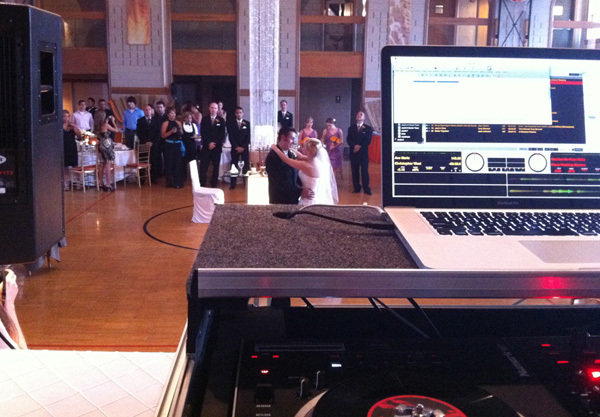 This was a quick one for us, as we were called a week before the event to DJ in place of the original wedding DJ. Despite not much time to prepare and song changes and timeline changes up to the day of the wedding, we were able to knock it out of the park and help make the night just as special as Jacki and Luis had imagined. Here are a couple photos we snapped from the DJ booth, we’ll post more once we get professional ones from the photographer. Congrats again guys!